Having an email list can be an extremely powerful tool when used correctly. However, don't get sucked into just growing your number of subscribers. Take the time to interact a little. Set up a facebook group page as part of your sales funnel or in your first couple of emails. This helps you further develop a trusting relationship with your list and is another way that you can identify problems or needs that your list has when determining what offers to send them. 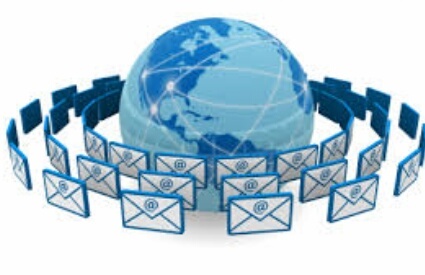 Email marketing remains the most effective way for any business to market it's products and services. If you want a business that makes you good residual income, incorporate emails into your business. 1. Offer a freebie to get them on your list. Every body wants a freebie. If you can provide one that solves people's problems, they get on your list. 2. Use double optin. Double optin because people forget easily. If you can get them to take some worthwhile steps before grabbing your free offer, they come to know and identify with you. Better still, add a pre-sell page in the mix. 3. Your freebie shouldn't be free. I opt in to so many people's list and download freebies that do anything but fulfill the promises they made. Don't do this. You would keep battling with unsubscribes. 4. Encourage your subscribers to interact and share their problems. Mail them often, ask how they are doing, and get them to tell you their problems. Yeah, email marketing remain outstanding as far as business concern, you can be sure to sell your products as well as generating traffic to your site. Thank for sharing this wonderful article. Looking forward to build my email list. Email marketing is great but there's something new and preferable. Text Marketing. i see on some blogs where they ask you to dial a four digit number and receive updates from them. would be grateful if you also write on that. Email marketing is what to give a try but still don't understand something things about it.